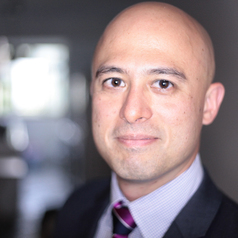 GRAHAM ONG-WEBB is Research Fellow at the S. Rajaratnam School of International Studies in Singapore. He is attached to the International Political Economy Programme within the School and the Military Studies Programme at the Institute of Defence and Strategic Studies. His main research interests include security issues and the political economy of the Asia Pacific; and Singapore’s national security strategy and national resilience initiatives against the threat of global terrorism. Graham has published in the Journal of Strategic Studies, Journal of International Studies, Indo-Pacific Strategic Review, Jane’s Intelligence Review, and World Defence Systems. His commentaries on global and regional security issues have appeared in The Straits Times, The Nation, The Jakarta Post, The World Today (Chatham House, London), and The Diplomat. In terms of private sector experience, Graham was previously a Senior Consultant at the Control Risks Group, and Managing Editor at the Jane’s Information Group (now Jane’s by IHS Markit). In terms of teaching and research experience, Graham has held positions at the Joint Services Command and Staff College (Royal Defence Academy, UK), the Centre for Science and Security Studies (King’s College London), the Centre of Excellence in National Security (RSIS), the National University of Singapore, the Institute of Southeast Asian Studies – Yusof Ishak Institute, and SIM University. Graham was educated at the National University of Singapore and the London School of Economics, and earned his doctorate from King’s College London on a Commonwealth Scholarship.